I am always asked by many photographers how I would describe my style of photography as a wedding, engagement, and bridal portrait photographer. I first look to have a great composition, for me it is not about taking many photos of the same subject, but more like creating one great image. Looking for the foreground and background, do they have what I am looking for, does putting your subject in the middle of the foreground give me the shape and lines that I am looking for. Take this image has a great example, the light was falling, and here is a beautiful bride, the red shutter from the building, the stucco grey wall, it all fits together. One photograph, the right light where her dress is not blown out, the negative space, that does not take away from her. Being a Charleston, SC, bridal portrait photographer, as given me a true understanding of what makes a perfect captured image, that my clients can look back and admire, on how beautiful they looked, but more importantly, that they were happy with who they hired for these special moments. 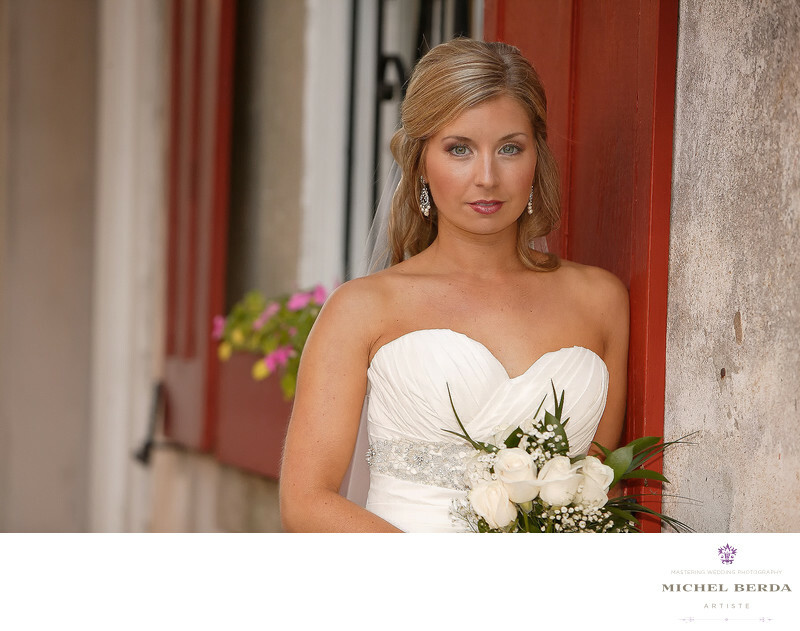 Keywords: Bridal Portrait (84), Bridal Portrait Photographer (84), Charleston (1179), Church street (18), sc (309), Wedding Photographer (1254).